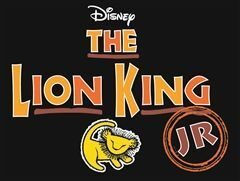 The African savannah comes to life on the Burke stage with Simba, Rafiki, and an unforgettable cast of characters as they journey from Pride Rock to the jungle, and back again, in this inspiring, coming-of-age tale. Performances on May 17 & 18. Have fun and learn in our fully air-conditioned, relaxed and convenient location - just two blocks from the Van Ness Metro in Northwest DC. 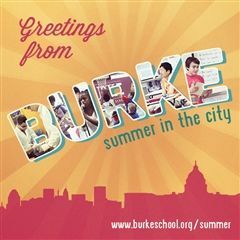 Our summer programs are taught by experienced Burke faculty who really know their stuff and love working with adolescents. Band, Coding, Writing, Science, Basketball - click here for the complete list of offerings and to register. 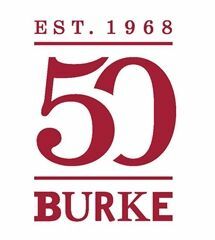 We're 50 years old! Back in 1968, during a period of social turmoil, our founders envisioned a school where a diverse student body could engage in lively discussions and compelling lessons, learning to be informed, active citizens. Five decades later, we're still living our original mission, graduating thoughtful, compassionate, and skilled young people eager to make positive contributions to today's society. Click here for details!